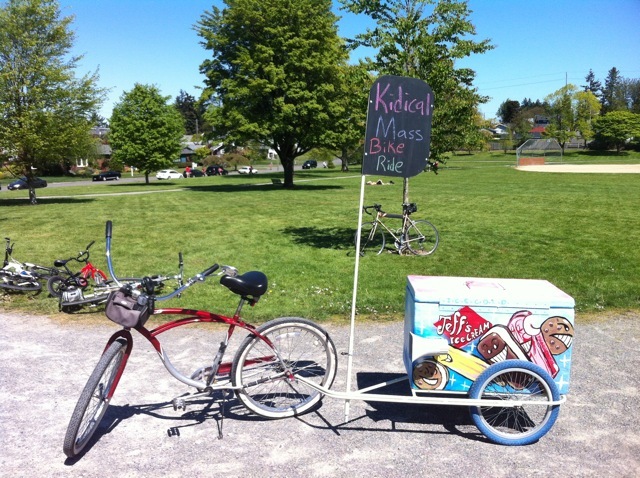 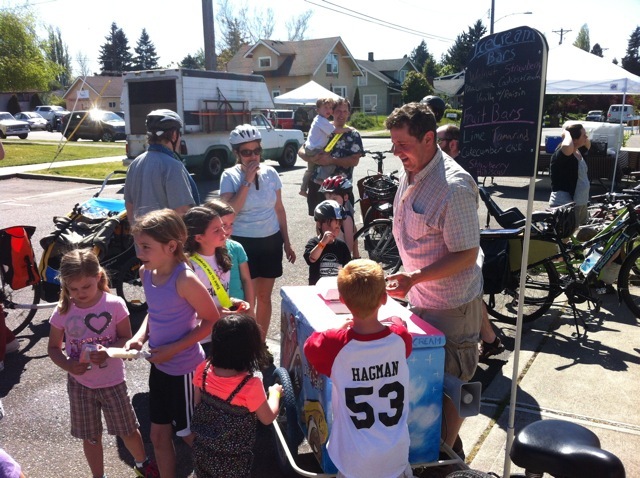 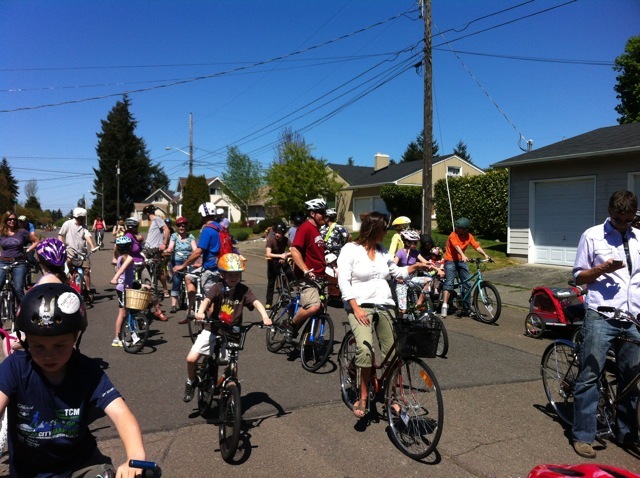 Over 55 riders joined the inaugural Kidical Mass Tacoma ride. 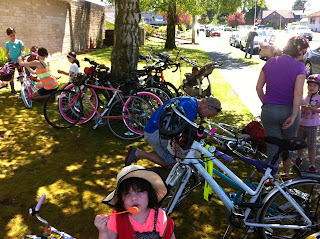 Families, kids, friends, co-workers, neighbors, infants, and toddlers all took to the streets together as we rolled through North Tacoma to Jefferson Park. We decorated bikes, installed some bike bells, blew some bubbles and generally reveled in a little bicycle chaos before departing the Proctor Farmers Market. 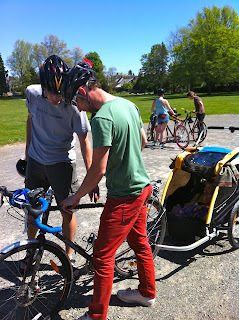 Everyone was so excited that we shrugged off concerns about exactly how this was going to work. I'm pretty sure we were all first-time Kidical Mass riders. 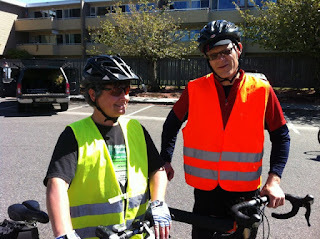 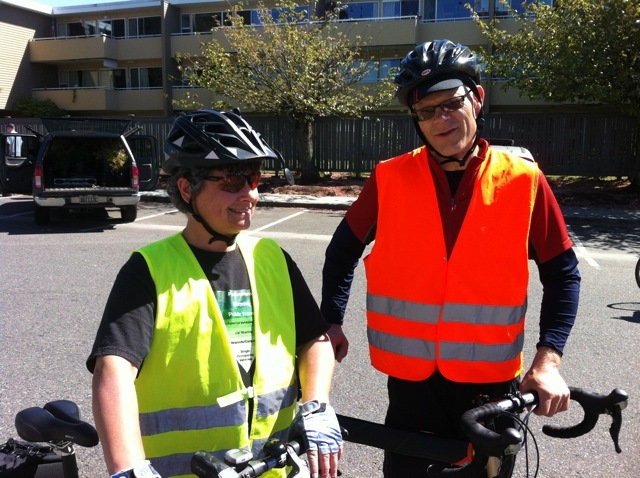 Kris and Terry, our volunteer crossing guards, were indispensable on this first ride. At each of the main arterial crossings, we regrouped, they blocked traffic, then the whole Mass rolled across the street. 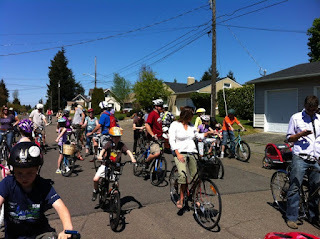 Everyone would ring-ring bells as they crossed the streets, many of the kids thanking Kris and Terry every time. 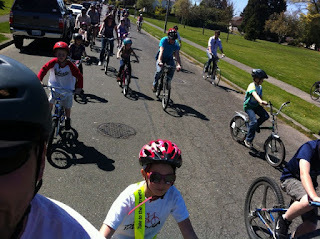 One young rider was awed and impressed to find out that our crossing guards are year-round bike commuters. Parents had a chance to talk bikes at the park, too. 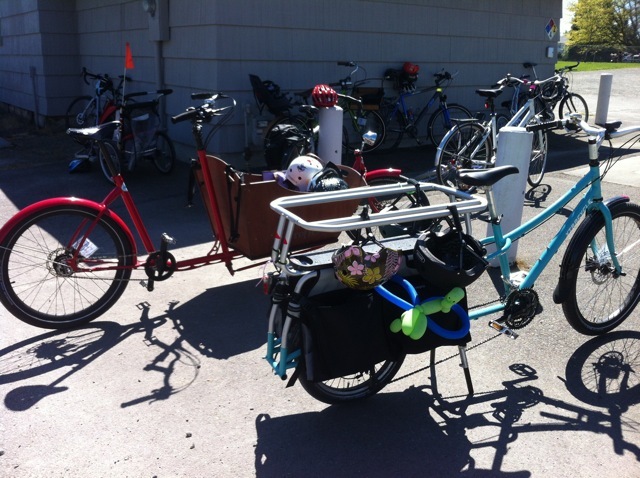 Finding safe, comfortable ways to haul your precious cargo is important. 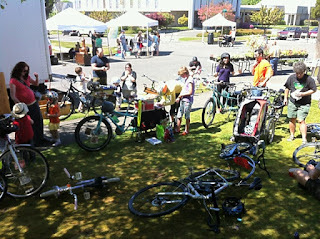 There was a little bit of everything: trailers, trail-a-bikes, (trail-a-bikes with trailers! 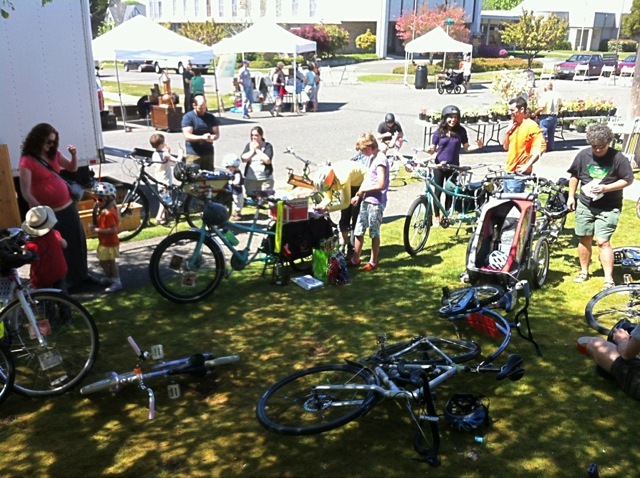 ), box bikes, longtail cargo bikes, recumbent tandems, and folding bikes that fit kids and adults. 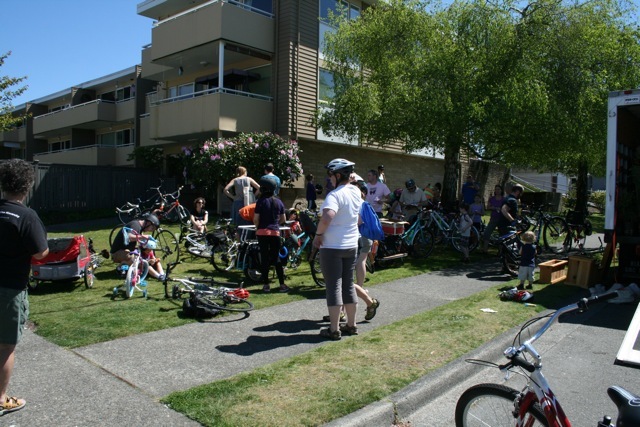 Our next ride will be June 8 starting at People's Park in Hilltop. 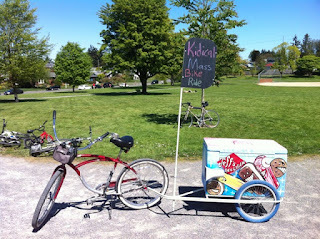 More details will be posted here soon. 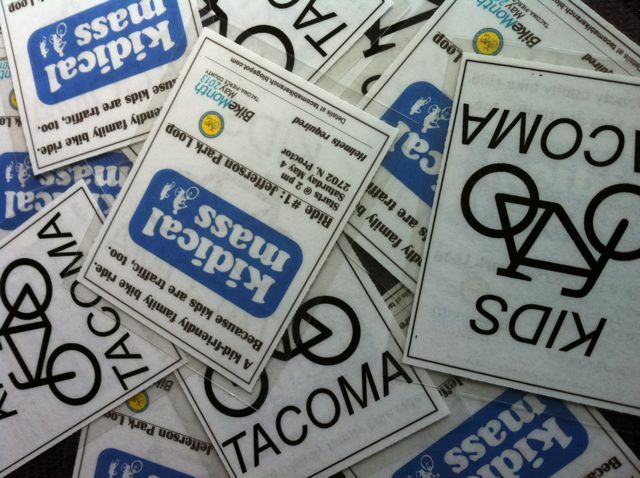 Please leave a comment if you have questions or feedback about the rides. I don't know if we're doing this right, but I think it's working. 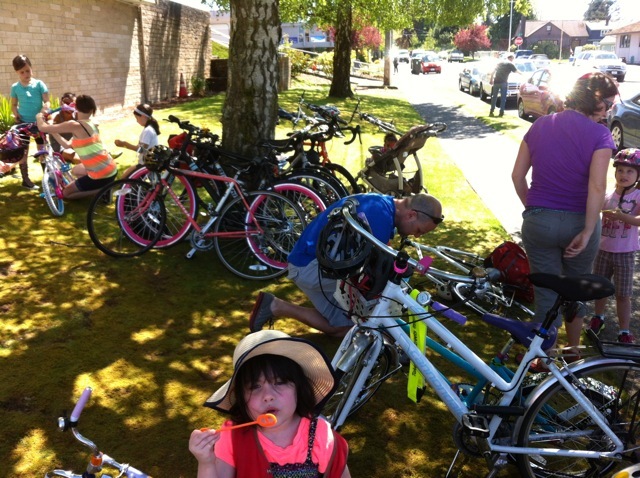 We found some kid water bottles at the finish line. 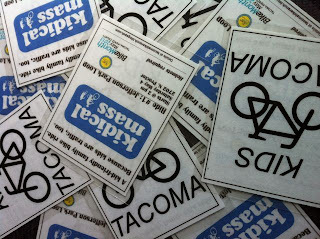 Let me know if they are yours!